Happy April! Spring has sprung. Here are a few upcoming events in St. Louis that are sure to put a spring in your step this month. 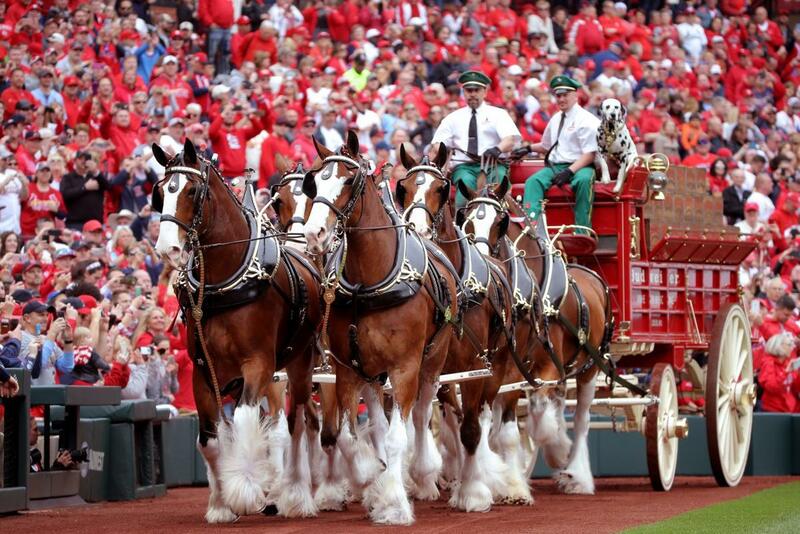 A fan-packed Busch Stadium attended the 2019 Cardinals Opening Day to watch game action of the Cardinals playing the San Diego Padres. Featuring a fun line-up of active, outdoor experiences, exhibitors, experts and more at Missouri Botanical Garden (April 6-7), Shaw Nature Reserve (April 27-28) and the Butterfly House (April 13-14), the Meet Me Outdoors in St. Louis weekend festival invites people of all ages to embrace their role as citizen stewards—celebrating, connecting with and conserving our region’s great outdoors. A pop culture explosion is taking place when Wizard World Comic Con St. Louis returns to America’s Center and The Dome. This must-see event offers something for everyone from movies, comics, gaming, anime, wrestling, art, collectibles and more! A great comic ballet of the 19th century, Coppélia is the story of a “mad” inventor and the doll he creates that is so life-like the village boy falls in love with it. Coppélia remains as one of the most beloved classical works in the ballet repertory. Based on two stories by E.T.A. Hoffman and with music by Leo Delibes, it is Saint Louis Ballet Artistic Director Gen Horiuchi’s eighth full-length production for the company, closing the mainstage season with wit and charm. This show is joyful, light-hearted and, definitely, family friendly! This popular competitive fitness event attracts more than 25,000 participants and includes races for all ages and fitness abilities. The weekend includes a full marathon, half marathon, marathon relay, 7K, 5K, children’s fun runs, and more! Join the Gateway Arch Park Foundation for an incredible culinary experience inside the Museum at the Gateway Arch with special guest, chef Gerard Craft. Craft is the James Beard Award-winning chef behind Taste by Niche, Brasserie by Niche, Pastaria, Sardella, and Cinder House. Featuring the flavors of Cinder House at the Four Seasons Hotel St. Louis. Corteo, which means cortege in Italian, is the latest enchanting Cirque du Soleil arena production. A joyous and festive parade imagined by a clown, the show brings together the passion of the actor with the grace and power of the acrobat to create a theatrical world of fun, comedy and spontaneity situated in a mysterious space between heaven and earth. The enchanting production comes to St. Louis in April on a tour of North America. The annual St. Louis Earth Day Festival in Forest Park is an opportunity for the community to celebrate the Earth while learning about resources, products and services that enable practicing Earth Day every day. Enjoy three stages of entertainment, local food, 200+ booths, and hands-on activities for the whole family. You don’t want to miss Chinese Culture Days at the Missouri Botanical Garden. For more than 20 years, this annual springtime festival of Chinese culture has featured: acrobatics, square dances, tea and cooking demonstrations, traditional artwork, authentic regional cuisine and activities in the Grigg Nanjing Friendship Chinese Garden.